Posted in: Córdoba Guitar Sales. 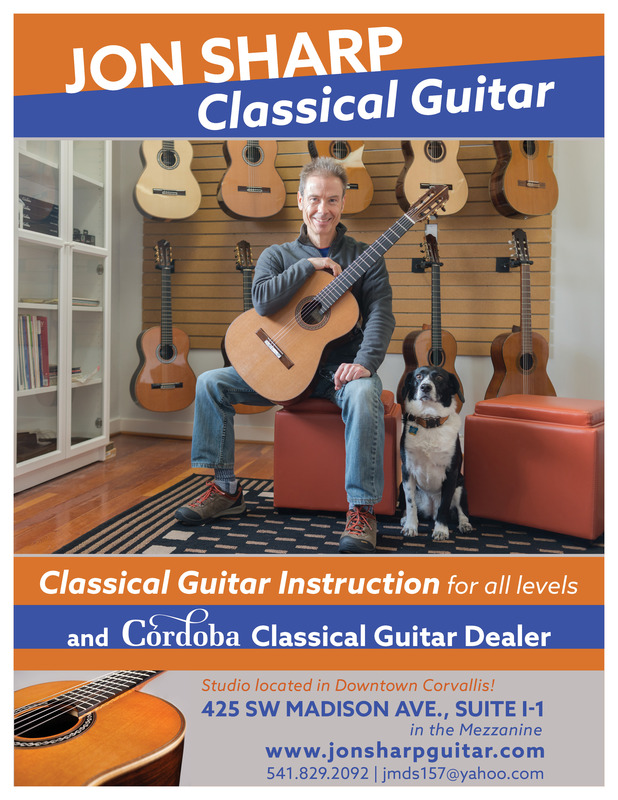 In order to provide the local guitar community with a great range of classical guitars, Jon has just begun selling Córdoba instruments from his studio in downtown Corvallis. Córdoba offers an excellent range of guitars of very high quality and for very affordable prices. Finding the right guitar is important in terms of inspiring our musical soul and enabling us to achieve our full potential as musicians. For this reason Jon felt it important to provide the growing local classical scene with the opportunity to try out guitars that offer different characteristics in terms of sound, feel, sizes, and for a range of budgets. If you wish to find the classical guitar that is right for you, please contact Jon by phone or email to arrange an appointment and he will introduce you to the wonderful world of Córdoba classical guitars.